LinkedIn Tips – Adventures in Networking! 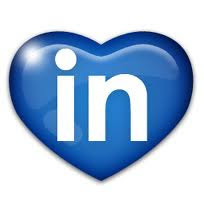 LinkedIn is the Facebook of Business. In March 2011 it crossed 100 million users. I am user 18, 717, 680 and joined in 2007. Hardly an early adopter. But I’ve read books on it, bumbled my way through the newbie mistakes and social faux-pas. 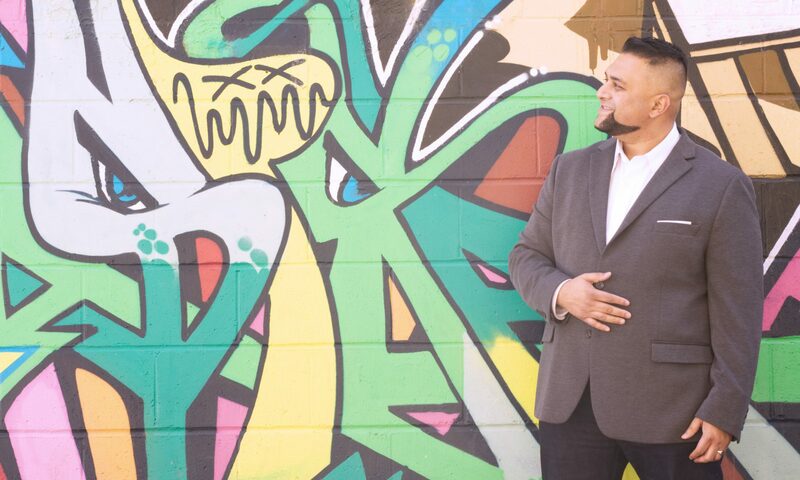 I’m an unabashed fan, promoter and speaker on how to use it for personal success. I’ve found and created great value here. Seth Godin often says not to hold on to your best value …I’ve been doing that…sorry. Use them in good health, challenge me on them please and if you find them helpful, forward/tweet to someone else! 1) It’s not a resume. It’s a digital business card + opening conversation. Use the opening section to explain why you are the best at what you do and different than the million other people doing it. Match this to your networking style. Bold, clever, succinct, reserved – make it your words. 2) Newbie tip!! Don’t EVER use the standard line “I’d like to add you to my professional network on LinkedIn”. Change it every time. Let them know where you met, how you know each other and why you want to connect. In 25 words or less. This will get you a 90%+ connection rate. 3) You don’t need to have a killer profile right away. Take your time. I didn’t expand my original profile from just my name and work title for two whole years! Also, you don’t need to upload a picture right away. Remember the picture is 1 inch squared, make it professional (no photos from weddings) but interesting. Not facebook interesting, something that says “I’m a professional, hire me”. 4) Growing connections list, ( #1 new user stress): 95% people you know, 5% strangers. 1. People you already know well. 2. People you’ve worked with in the past. 3. People you know professionally. Optional: 4. Take your time with this, people who lead in your sector, professional heroes or teachers. Follow your gut: Stranger danger! Ignore invitations from strangers and profile surfers. For now. Tip: Connect first to well networked peers to save time looking for names you both know. 5) Eventually, take a risk on step four (above). Know who you want to connect to and enlist others to help. Be bold, aim high. International contacts, authors and big thinkers are here to meet others just like you. I have tried and it worked with powerful results. 6) “Groups” and “LinkedIn Answers” are a huge amplifier of time invested. Again, connect to those in the know and join the groups they’re part of. Answer questions in groups at least once a month. Look at LinkedIn “Answers” in categories that connect to your business and answer questions with useful resources and you’ll become known as a “go to professional”. This will help you make more contacts outside your immediate network but in your sector. It will help dynamic like-minded people find you. 7) Recommendations are important. Consider who you have made an impact on and ask. When you ask be specific about what business or characteristics you’d like them to highlight for you. Give them an out if they’re uncomfortable. HR people look online for this, have at least three. Tip: Fastest way to get recommendations is consider who has made an impact in your career, connect and do this for them! 8) Have rules. Know who you don’t want to connect you. Set a daily time limit for use. Originally I went from 30mins a week, to ten mins a day max. This is not Facebook! It is also addictive and can waste your time. As in your business life – follow the revenue line!! Time = money. 9) If you’re a book reader, upload what you’re reading ( in the Amazon reading list ) and favourite business books online to help others understand how you think and what you value. 10) Use the status update line to provide business value, not updates on your life. Connect to a business titled Twitter account and you’ll double your audience. 2011 tip, too much tweeting annoys your connections. If you tweet a lot, don’t connect these accounts. Your network will turn off your updates and ignore you. 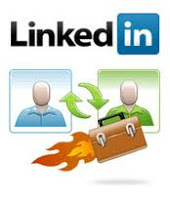 Final word: LinkedIn is a wonderful tool but is seeking to monetize you! Don’t do everything the program tells you when you join like uploading all your information or resume. Go at your own pace. Making your address and phone number visible is a no-no. Hope it’s of help and value… Contact me any time, LinkedIn rules. Thanks for this detailed list. I joined LinkedIn in 2009 and took months to complete my profile to 100%. The toughest part was asking for Recommendations. What if they say "no"? These fears (as with many fears) were unfounded. PS It's important to be active and consistent with meaningful status updates (e.g., links to articles). Even a couple a week will show that you're reliable as the weeks become months and then years. Excellent Linkedin tips Paul, thank you. Re the Linkedin books, are that an activity log book or what? Previous PostPrevious Twitter turns five! Who cares!